Polished chrome faucet fixture from California faucets. Polished chrome faucet fixture from California faucets. 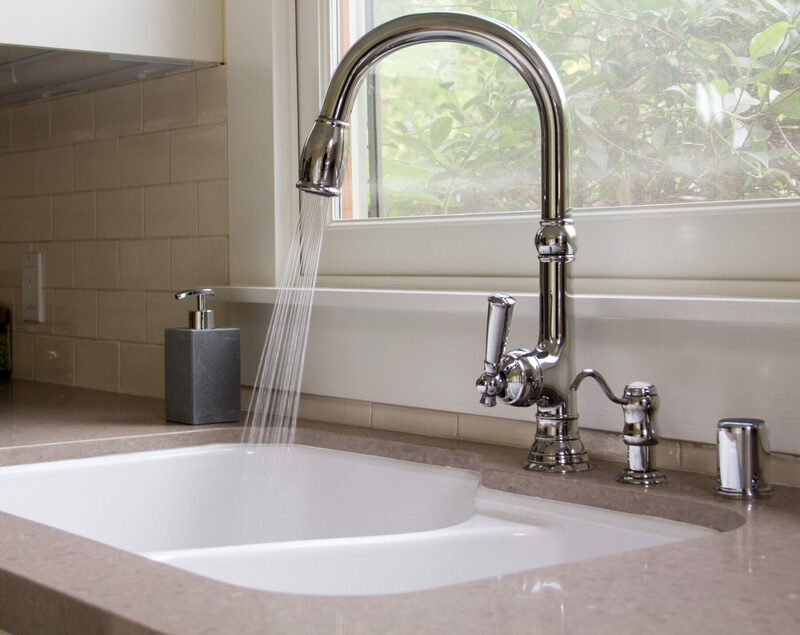 A matching soap dispenser keeps things simple in this guest house kitchen.